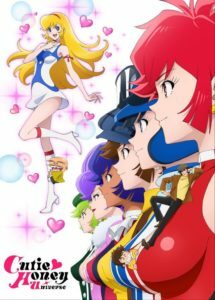 Honey Kisaragi is a high school girl, who attends St. Chapel Academy, but her real identity is Love warrior Cutie Honey. She is a beautiful female android, created by the genius scientist Dr. Kisaragi. Honey aims to catch the mysterious secret society Panther Claw and works together with Panther Claw investigator. But Panther Claw’s leader is Sister Jill, who works under a pseudonym. Honey, who doesn’t know about Sister Jill’s real identity, continues to trust her purely. Cutie Honey is a shonen manga series created by Go Nagai. It has been serialized in Akita Shoten’s Weekly Shonen Champion from issue 41 (1973) until April 1974. Numerous manga series and two anime series, two OVAs, two drama CDs, two live action adaptions have been published so far. 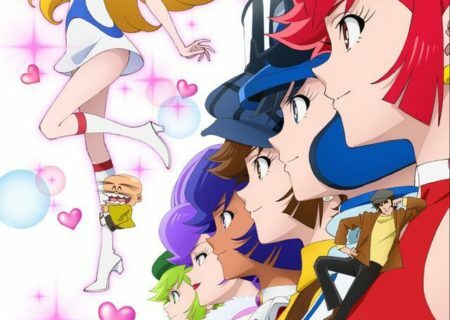 This new 2018 anime version is produced in commemoration of the 50th anniversary of Cutie Honey‘s original creator Go Nagai.